The Animal Crossing franchise has never made any effort to be anything more than what it is. 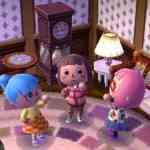 Playing the recently released Animal Crossing: New Leaf is like having a vacation. The game never asks too much of you, and everything you can do is at your own pace. New Leaf retains the series trademark charm, and it’s this mysterious charm that somehow allows for mundane tasks to become interesting and addictive. Animal Crossing: New Leaf brings a number of new features to the table, including being the mayor or your own town. New Leaf on the 3DS works well considering play sessions really max out at about an hour a day. A typical day in New Leaf involves collecting and selling fruit, smacking rocks with your shovel while you cross your fingers hoping to find the day’s money-spewing rock, digging up fossils to donate at the museum, and visiting with your town’s various inhabitants. 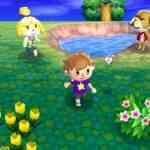 These day-to-day activities are all familiar for returning Animal Crossing fans. 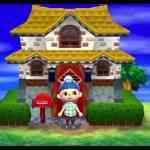 New Leaf reveals its differences from its predecessors in your role as you interact with the town as you are placed into the character of Mayor. Having some say in the town’s layout was really nice, considering previous games mostly confined you to your own house customization. Being that I find myself gaming mostly at night, I was pleasantly surprised to see that as mayor I could request that stores stay open later for night owls such as myself. I also had fun contributing to community-based projects, such as building a campsite, expanding the town’s museum or building an additional bridge. I never found the duties as mayor to be overwhelming; in fact they added some much needed flavor to the game. 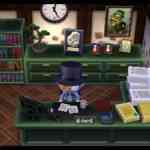 Though you are the mayor, New Leaf sticks to Animal Crossing’s roots allowing you to collect an assortment of items like clothes and furniture for your home. 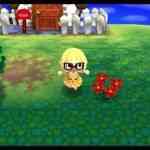 Along with fishing and bug catching New Leaf also offers a tropical island full of goodies and mini-games. No matter what season it really is, this island is consistently sunny. The island offers loads of activities including the regular fossil hunting and fruit gathering, but its real strength lies in the bug catching at night. Many rare insects that you can’t find elsewhere make an appearance at night on this island, and it’s always worth it if you can catch even one. The mini-games range from diving for treasure to navigating hedge mazes. These mini-games are ranked according to how long they take to complete. 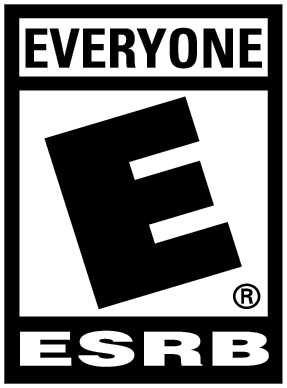 Upon completing a particular mini-game your performance is evaluated and you’re rewarded accordingly. You’ll also find that it’s possible to spend time swimming and diving at your own pace too. While doing this you’ll find the odd opportunity to unearth new collectible items and other goodies that can’t be found anywhere else. It’s the “gotta find something” feeling that keeps you coming back to do this. At its core, Animal Crossing: New Leaf is really about finding a balance between your virtual personal life and your virtual professional life as mayor. Working on improving your own home is always fun, but focusing on bringing in new projects as mayor is important too. One structure I built was called a Dream Suite. 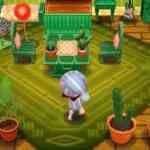 The Dream Suite allowed me to scope out other players’ towns with a dream-like vision. I found the Dream Suite to be neat at first, but it really serves no purpose as you can’t bring back any goods, nor can you interact with anything while you visit. 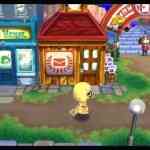 I had trouble figuring out what the purpose of this feature was, but Dream Suite aside, maintaining the town as mayor while doing the usual town business created a nice dynamic, making New Leaf the most engaging Animal Crossing to date. Though the town you create is yours and yours alone, New Leaf offers a couple of options that allow you to share what you’ve been working on with friends. You can visit each other’s towns using local wireless or over the Internet granted you have exchanged 3DS friend codes. This adds a nice element to the game as it allows you to trade goods with friends and work together on various in-game projects should you choose to do so. If you happen to have multiple friends visiting your town at the same time you can all take a trip to the tropical island together to compete in the mini-games. 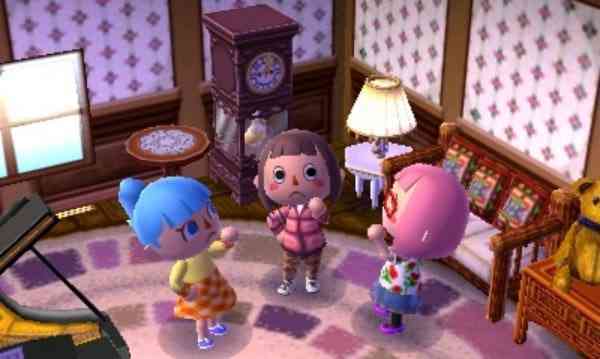 The ability for one or more friends to hang out is neat and adds to the addictiveness and playability of New Leaf as a whole. During my time with New Leaf I did find its interface to be a bit clunky. I found every action took just a few too many button presses. When trying to catch bugs or dig up fossils having to flip-flop between the shovel and the bug net was cumbersome, requiring me to sift through my menus to change the equipment. I feel like by now it should only require a button press to switch over gear. You’ll also find the menus to purchase items are all buried in wordy conversations too. This means that every time you go to purchase an item you have to push through the same dialogue. Being that you spend a lot of time buying and selling goods, seeing the same repetitive dialogue gets old fast. Much of New Leaf’s interface design is dated, and though the villagers and their conversations are cute at times it can be a bit much. 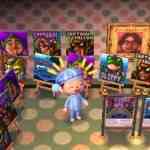 The 3D graphics that are featured in New Leaf don’t add a whole lot to the experience, nor do they detract from it. Its a subtle change, but one that is fun to have on once in a while. They maintain the cute aesthetic that the game is known for and you know that you are playing a Nintendo developed and published game. The music is reminiscent of the previous games too, which is a good thing. The animals look and sound as cute as always featuring Animal Crossing’s charming sound design. In many ways the game’s visuals and sound are not so much upgraded but slightly enhanced from previous games given the features of the 3DS hardware, just don’t expect anything mind-blowing as the game keeps to what the series has looked and sounded like in the past. Animal Crossing: New Leaf is one of the most relaxing gaming experiences to be had on the 3DS at this time. It’s built for short gaming sessions on the go, and being the mayor of your own town is pretty awesome. It is nice to play a game that focuses on relaxing tasks rather then fighting a terrible creature in order to save the world. Some may find it difficult to settle into the game with its lack of goals and clear direction, but given a chance New Leaf will show you that it’s truly a pleasure to play. 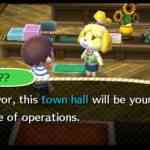 New Leaf introduces enough new features to warrant a return trip for existing fans, and for those new to the franchise it is easily the best place to start if you’re looking into giving the Animal Crossing series a shot.